If my life were a book, my entire trip to New York would be one of its most exciting chapters. 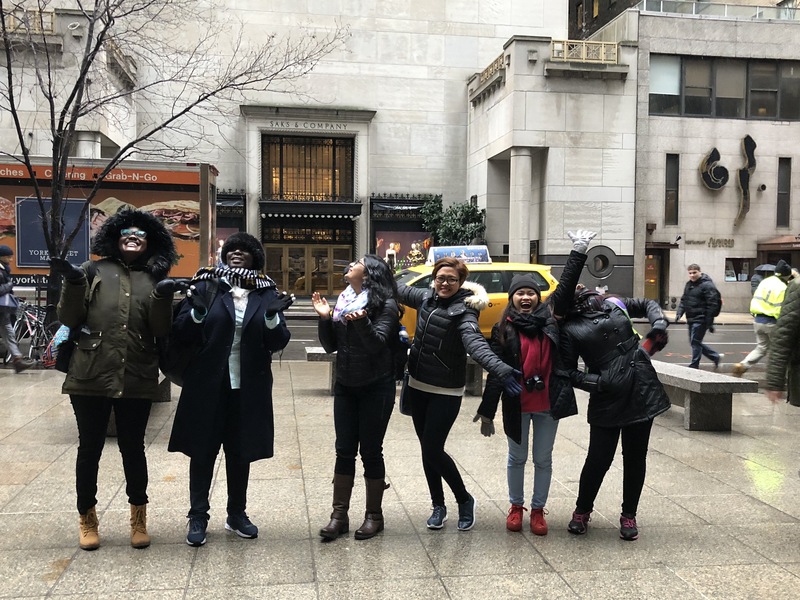 I consider this trip as one of my life’s most precious treasures and – even a few months later – my heart continues to be overwhelmed with gratitude for my few days and nights in New York City. During my entire stay there, countless smiles and greetings such as Good morning! and Have a nice day! welcomed me every day by different wonderful girls from all over the world. 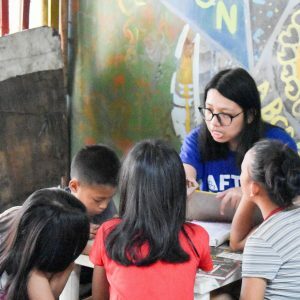 During the Global HerStory Summit last March 2017, we participated in thrilling activities! 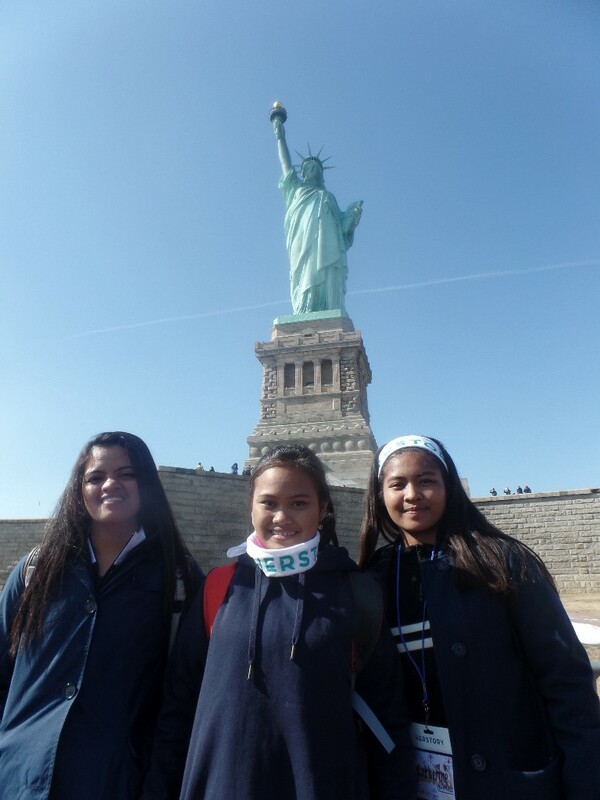 We also had the opportunity to have fun exploring the city and see its breathtaking views. Even though the weather was cold, I had a great time enjoying the snow. 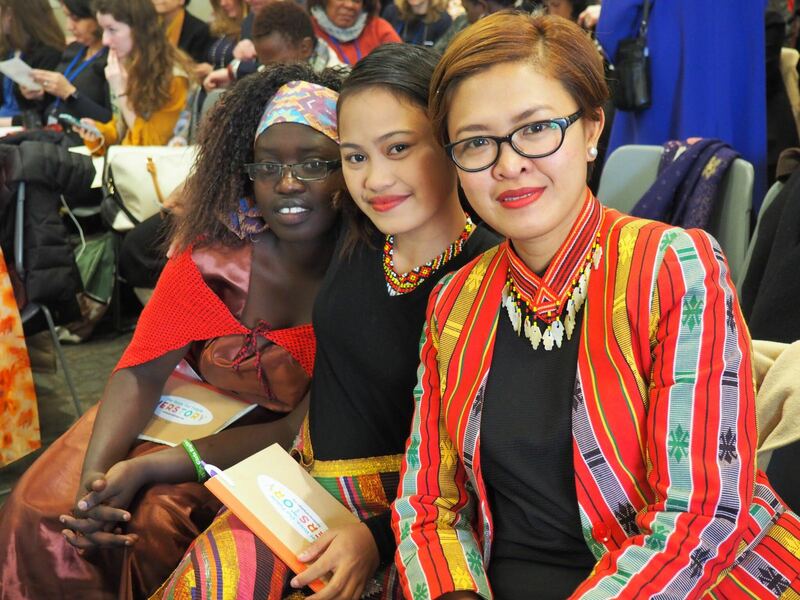 Last March 2018, I was again given the opportunity to be a part of the HerStory and UN- Commission on the Status of Women (UN-CSW62) event. We showcased our community action plans together with Kenya and Nepal HerStory delegates. I was glad to meet my friend Mordecai Thomas again whom I became close to from last year’s HerStory Summit. Mordecai is from Kenya. She has grown a lot and became more beautiful! 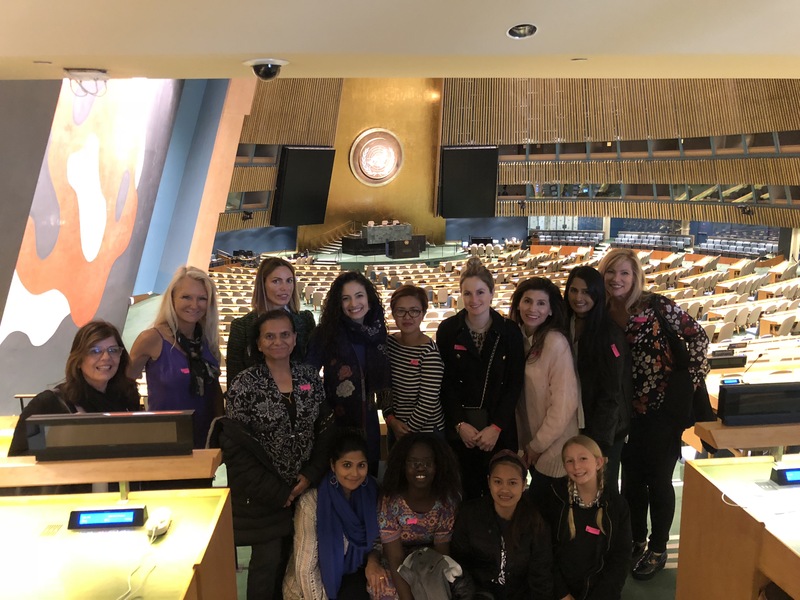 We spent time together getting ready for our presentations for our so-called “big day,” at the UN-CSW event. We also had an event with ambassadors from different countries. It was truly unforgettable. 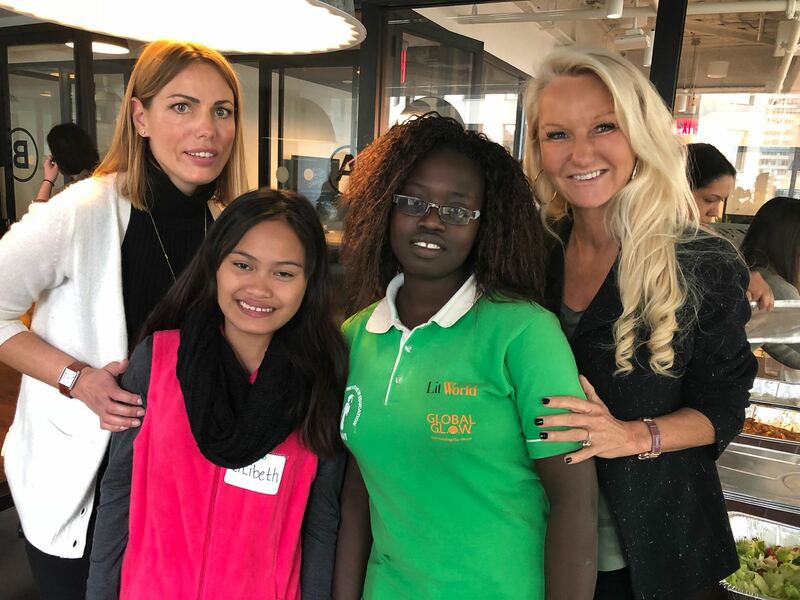 Not only did I enjoy reconnecting with Mordecai, I enjoyed learning from all the girls I met during the entire trip. Having fun with all of these wonderful girls during the entire trip proved that language is not a barrier in gaining new good friends! We shared with each other our different cultures, traditions, and way of life. We also shared how each of us have our own little ways to make our communities better. We all face a lot of problems in our communities that can feel overwhelming, yet somehow, we are all creating solutions through our very on initiatives. The HerStory Summit and the UN- CSW62 event has made me realize that age and life statuses are not the basis of inspiring other people. I am so grateful that despite the hardships I have been through, I was fortunate that there were people who reached out and guided me. 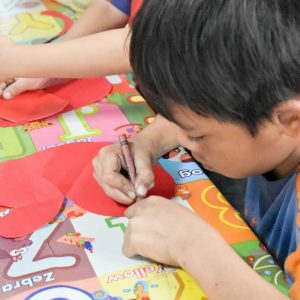 Although I was going through a lot, I was able to continue my studies, have nice clothes to wear, and I can be close to my loved ones while having a proper education. 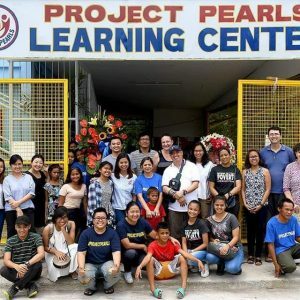 Project PEARLS has helped me reach my dreams and I will forever be grateful. 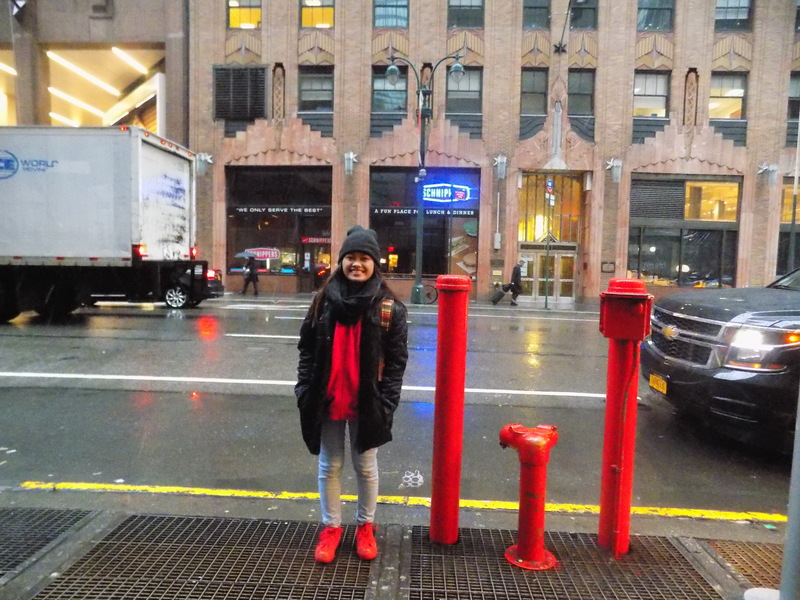 Who would have thought that a little girl living in a slum would step on the land of New York City? A few years ago, the only thing my family would think of was how to survive our daily lives. I was raised packing charcoal and picking nails in exchange for small amounts of money. My environment was a sea of garbage. 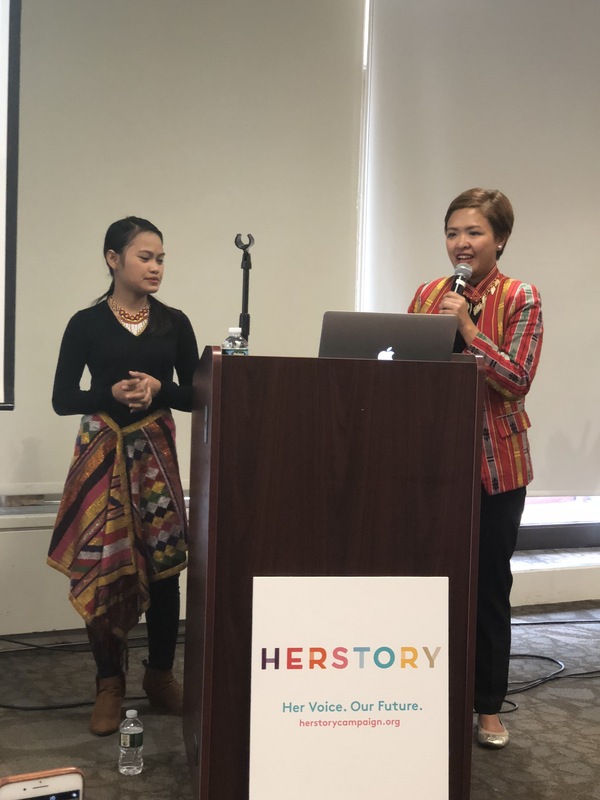 Here I am now—a girl chosen to represent the Philippines for a global gathering: the HerStory Summit and UN – CSW! Describing me as happy is an understatement. I am grateful for this opportunity and I am incredibly proud that I was able to share my own story to the world. There are times in our lives in which situations have us feeling low. There will be struggles, suffering, and pain. We may feel weak. But do not give up. Instead of giving up, turn those problems into your inspiration to be braver. Never lose hope. As many people say, where there is darkness, there will always be light. Someday soon, all of our hardships will be worth it. I want to thank all the people who gave me the privilege to attend the HerStory Summit in New York City and experience this once in a lifetime event. Thank you so much LitWorld , Global GLOW and HerStory for providing everything for the trip! From the food, accommodation, exciting activities and for boosting my confidence with all the cheers and most importantly, the trust and opportunity you have given me. I am forever grateful for this experience. To Pam Allyn, Kylie Schuyler and my entire Litworld , GLOW and HerStory families, thank you very much ! To my entire Project PEARLS family, thank you so much for inspiring girls like me. Thank you for helping me live my dreams. Because of Project PEARLS, I was able to aim high and dream even higher because I believe I will find ways to reach it. To Ms. Melissa Villa, thank you for being my second mom. You are also a mother to hundreds of kids in need. Thank you so much for making us feel important and loved with your undying love, care, and support for all of us. 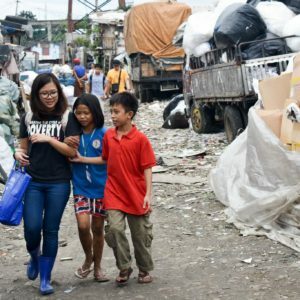 Saying “thank you” will never be enough but we promise that we will give back by helping our own community and helping those who are in need with the best we can. We also pledge to finish our studies. To Tita Marian and Tito Bob, thank you for choosing me as your scholar. 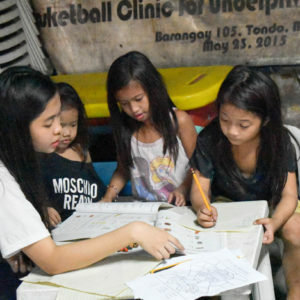 I hope that you’ll never get tired of helping me with my studies and reaching out to others in need like me. Throughout the years – from grade school to now, in my senior year of high school—you were always there to support me. My grades may not be as high but you chose to support me and never give up on me. I promise to finish my education and to not disappoint you. To Tita Cathy Baculi— thank you for always reminding me to pray and pray even harder during my tough times. Thank you Ate Karen for molding me. You are such a good influence for us scholars. 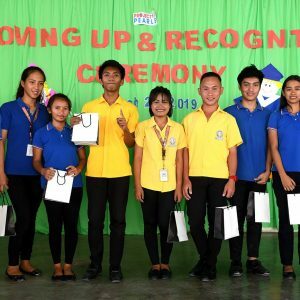 Thank you for boosting our confidence that we can use at school and every time I meet new people. You are such a big sister for all of us. Even though we don’t see each other as often, I know that you love me and the other LitGirls and we love you too! Lastly, thank you to Tita Peachy Abellon. Every time I try to say thank you in person, I tend to get shy and lost for words. 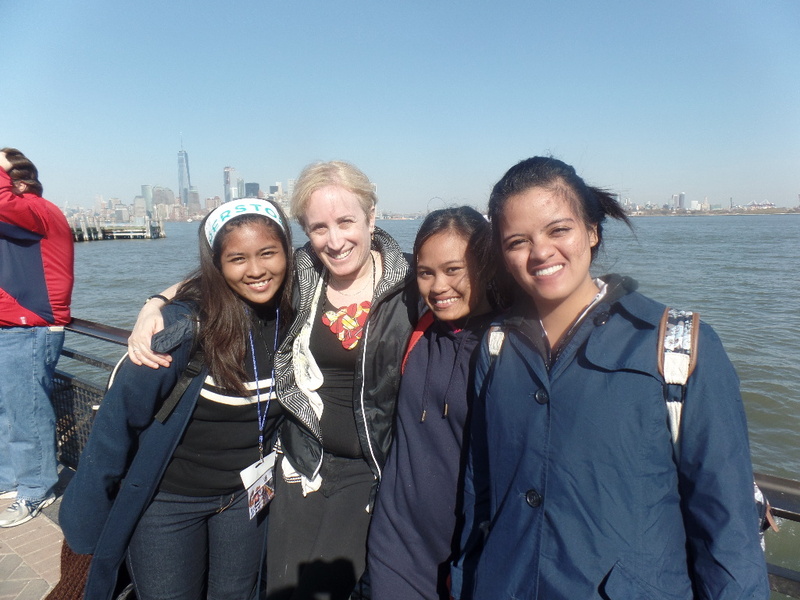 I’ve had the chance to spend more time with her during the New York trip, I can proudly say that she’s the best mom to her kids, wife to her husband, and a great Big Sister or Tita to all the kids/scholars of Project PEARLS including its volunteers and staff. I look up to her with so much love and respect. Thank you Tita Peachy for teaching me how to be practical in life, for giving me inspiration, and for always reminding me to be good, do good, and never waste this opportunity that was given to me.